Are you as successful as you want to be as a trader? If not, what’s holding you back? If you’re like most traders, the answer is education. In any career, professionals must always strive to continue learning. Doctors, accountants, investment consultants and other professionals are all required to take continuing education classes. Why shouldn’t option traders strive to get better at their craft, too? Among the most important things a trader needs to concern himself or herself with is education. To learn option trading requires diligence, hard work and time. But the end result is the personal satisfaction. Students who come to AssuredGain Mentoring to learn option trading come for many reasons. Some come to get better at option strategies they already trade. Some want to learn new option strategies. Some want to learn option trading as a hobby, some as a profession. Some want to learn option trading to make more money, and some just for the sake of understanding the fascinating, abstract world of options. Whatever your objective, the unique, personalized, one-on-one method in which Market Taker students study options is designed to be a nurturing environment where students can learn to trade quickly and efficiently without the distractions of larger option trading classes. Because each option course is personally designed for each student, you skip over the aspects of option trading that you already know and tackle the concepts that benefit you the most in your option education. AssuredGain’s Options Personal Mentoring Program will give you the knowledge and tools to develop your options trading so you can succeed for years to come. 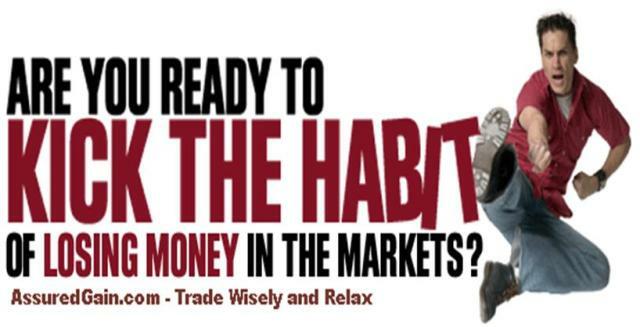 We will train you to manage your trading like a business which is the best way to achieve consistent, positive returns. As an AssuredGain student, you will have direct, one-on-one access to the expertise of professional option trading mentors who use these same approaches to manage money within their own professional practices. The Best Technology: Included with your course is unique and professional software which helps you to decide what strike level to choose based on option strategy. This unique software also gives you details on maximum profit/loss on particular trade and helps in decision making. Best Curriculum: Our comprehensive curriculum involves up to twenty-one segments, and includes options trading theory, strategies, and money management instruction. Our Mentoring Program will give you the knowledge and tools to develop your options trading business so you can succeed for years to come. Have the tools and resources to make the best trading decision. AssuredGain has a limited class size for our Online Education classes and excepts only a very small, limited number of personalized, one-on-one coaching students each month. Are you ready to commit to success? Are you ready to commit to yourself? Reserve your seat today in one of our classes today and take the first step in gaining the edge you need to succeed. Call Narendar Kumar at 9962439282 now! Geographical limitations can no longer hold you back from mastering your trading skills. You may be placed in any part of the world and still attend our training programs in the comfort of your study. We offer personalized guidance for setting goals and reviewing concepts and strategies. You may review your trading strategies with your coach before placing each order and also do post-trade analysis.